Thank you for purchasing the SZ Flex Fuel Kit. This list and instruction sheet only covers the core components and not fuel injectors, etc. We begin the installation with the removal of the factory return fuel hose. It attaches on the front side with a quick disconnect clip (green colored). The other end attached to the fuel rail system at its center, directly behind the intake manifold. It is secured to the rail with two 10mm head bolts affixes to a fuel damper. 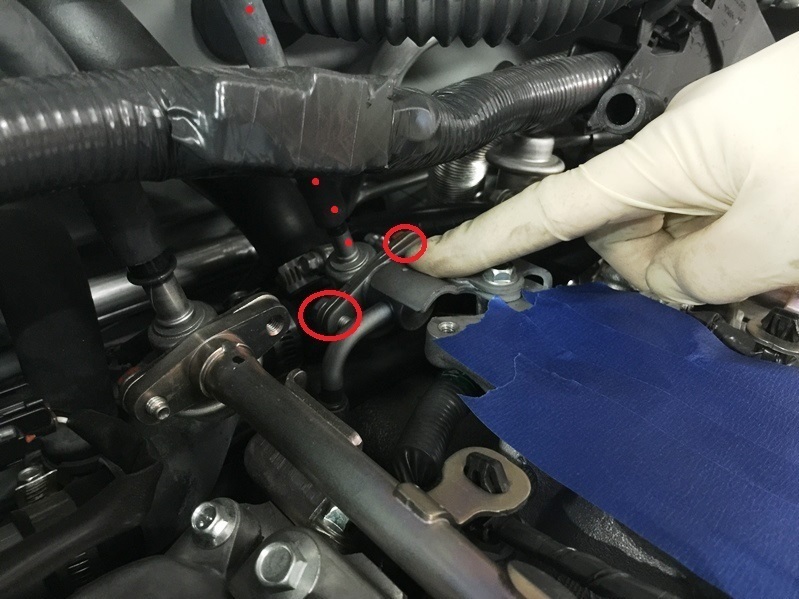 Pictured above is the return fuel hose that is to be removed (dotted in red). 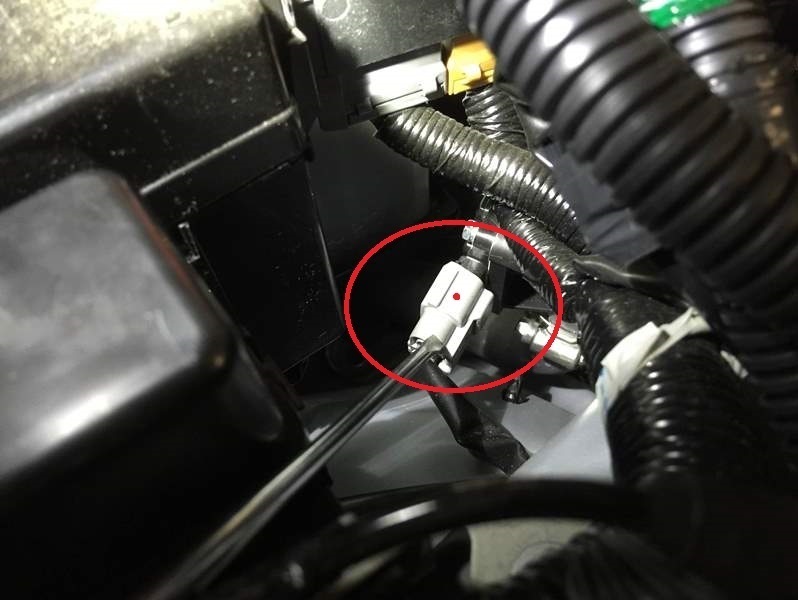 It has a green quick disconnect clip on the hard line fitting and attached to a damper in the center rear of the fuel rail and intake manifold. Upper intake manifold is removed here. This is most easily done with the removal of the upper intake manifold. If you will be upgrading fuel injectors this is the perfect time to replace them and install this flex fuel kit. Pictured above is the same return hose but its other end. It is dotted in red and the two 10mm bolts are circled in red. The bolts will be reused. The two 10mm bolts are removed and will be reused with the installation of the new return hose. Take care when installing the new return hose to prevent damaging the attached o-ring on the damper. Coat the o-ring with oil, Vaseline, or similar, to keep it from getting damaged. Apply some coating as well to the quick disconnect side. Be sure the quick disconnect side “clicks\snaps” into place. 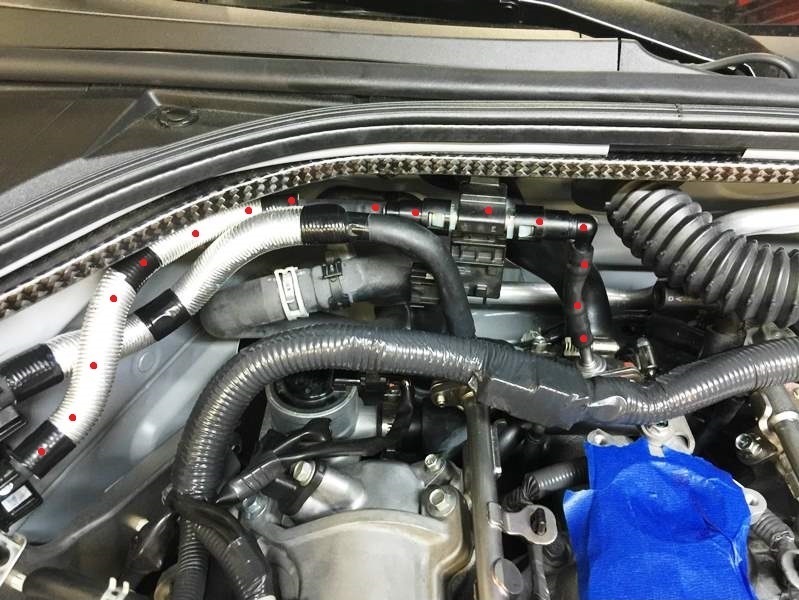 Pictured above is the new return fuel hose installed. 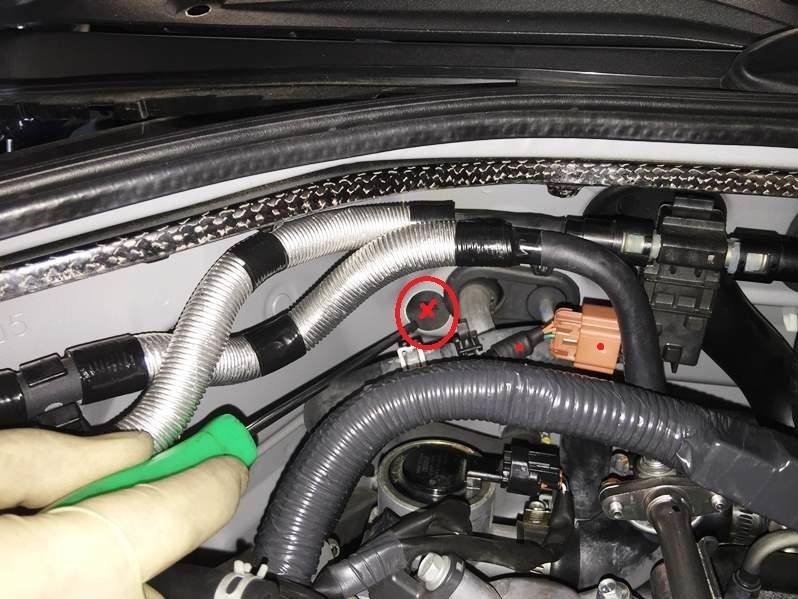 Take not of the orientation of the flex fuel sensor and the routing of the return hose behind the main feed hose by the flex fuel sensor. New return hose is dotted red. With the return hose installed we can move onto the Flex Fuel Sensor Harness (Sensor to ECA-2) routing and installation. 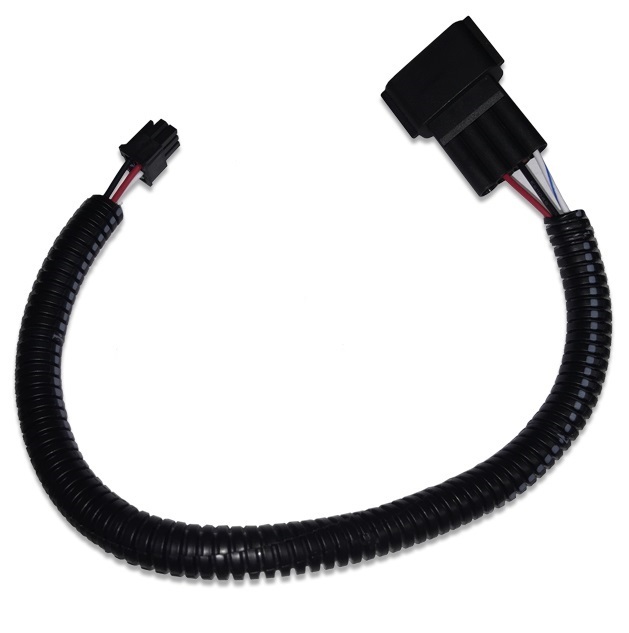 Pictured above is the Flex Fuel Sensor Harness (Sensor to ECA-2). 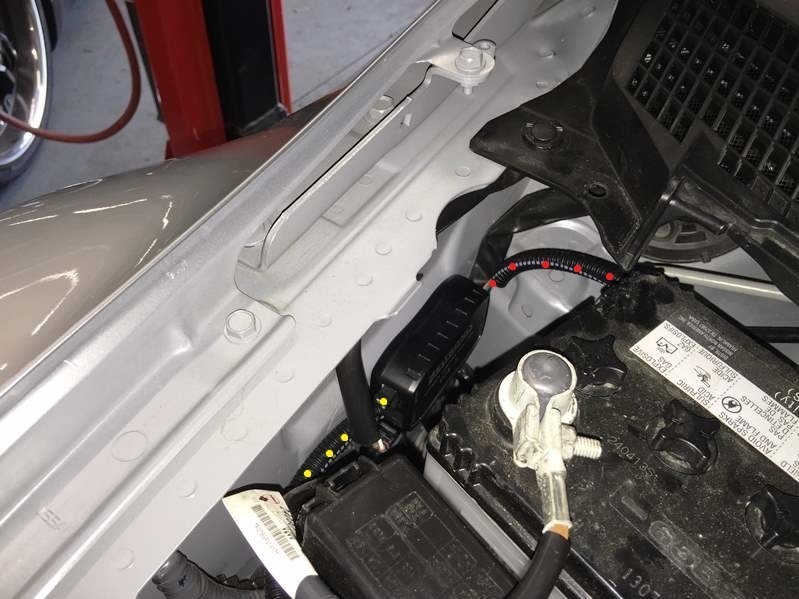 Pictured above is the Flex Fuel Sensor Harness (Sensor to ECA-2) connected to the flex fuel sensor. Circled and pointed to with the screwdriver is the hole that the small connector end of the harness will route through. The black circle is simply a sticker over an existing hole. You can remove the sticker or slice an “X” with a razor blade to run the connector\harness through. Route the small end of the harness through the firewall hole. You will now need to remove the push clips holding down the battery cover. Once the clips are all removed you can lift and move the battery cover tray off to the side. You will now need to “fish” the routed harness. It will be located to the far right of the battery near the AC lines. The harness will route behind the battery and come around to the outside of the battery near the inner fender portion. Pictured above is the ECA-2 box mounted to the fender area. The red dotted harness is the Flex Fuel Sensor Harness (Sensor to ECA-2). It plugs into the “Sensor” side of the ECA-2 box. The yellow doted harness is the ECU Harness (ECA-2 to Factory Nissan EVAP Connector). Plug the sensor end of the harness into the ECA-2 box. The ECA-2 box has double sided tape attached to it. Clean the fender area so that the double-sided tape and box can stick properly to the fender. You can also at this time connect the ECU Harness to the other end of the ECA-2 box. With the box attached to the fender and both harnesses connected to the ECA-2 box we can now connect to the factory Nissan EVAP (Secondary MAF) connector. 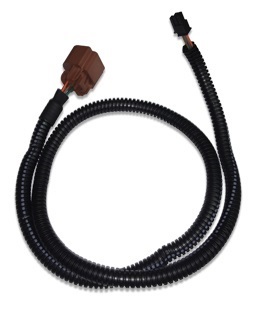 Pictured above is the ECU Harness (ECA-2 to Factory Nissan EVAP Connector). Pictured above is the EVAP (grey) connector. You will unplug it and connect it to the new harness. This is located directly in front of the battery, below the positive cables\wires and to the right of the fuse boxes. 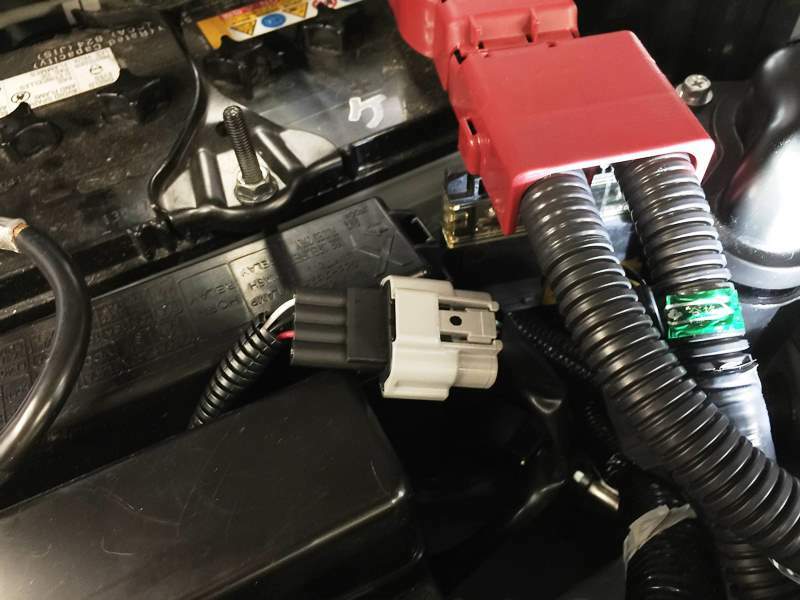 Pictured above is the ECU harness (connector in black) plugged into the factory Nissan EVAP connector (connector in grey). You can tuck the harness down so it is not seen. 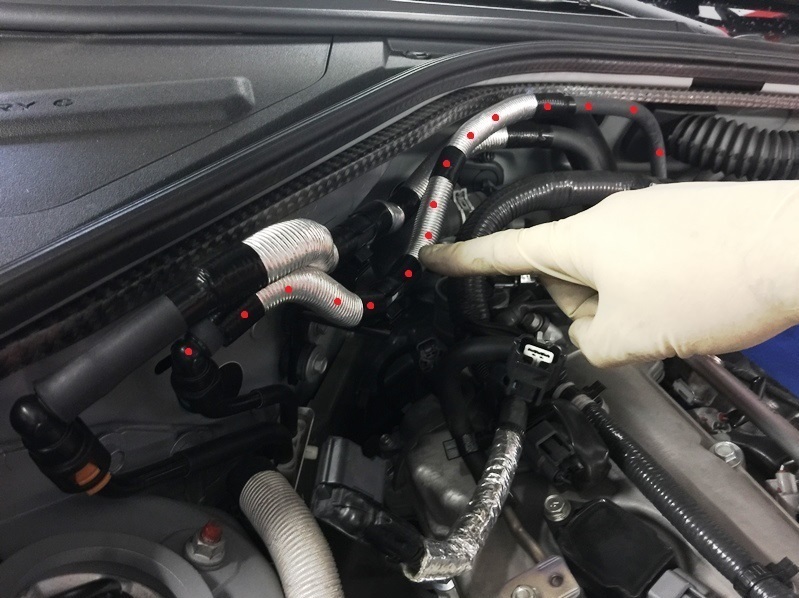 You have completed the installation of the SZ Flex Fuel Kit. Be sure to have the appropriate tune file to properly use this system. It is always best to have your GTR custom tuned for the ethanol content changes! Thank you again for purchasing our kit. We really appreciate it! If you have any questions, or need further assistance, please don’t hesitate to contact us! 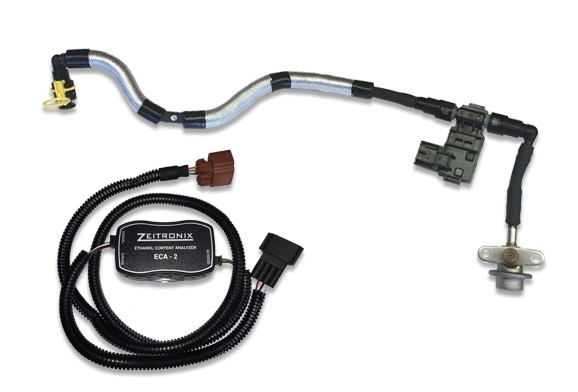 Do you have a flex fuel kit for the 370z/G37 platform? Fast Intentions and SZ have a collaborative kit that consists of a return style system. Contact me directly for more information.